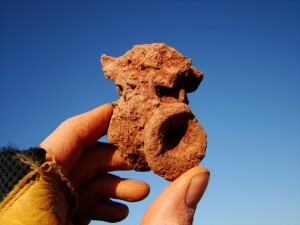 found at the team’s dig site. Our paleontology team – led by Dr. Robert Bakker – is back in Seymour, TX, digging for Dimetrodon at a site they’ve now been working for several years. (You can read more of what’s been found already in our daily blog from the field in 2007). Today, they’re wrapping things up to come back to Houston – and they’ve sent us two updates. In the first, David Temple – our associate curator of paleontology and a one of our BEYONDbones bloggers, talks about the darker side of Texas paleontology – cactus spines – and how you protect a dig site for the winter weather. In the second, we’re pleased to bring you an update from Tim Quarles. Tim was a member of the team that found and excavated Leonardo, the famous mummified dinosaur that is now on display here in Houston. He was also there for our recent trip to Malta, where Leonardo was found. So, the team was thrilled that he happened to be in Texas for a few days, and was able to stop by our dig site. 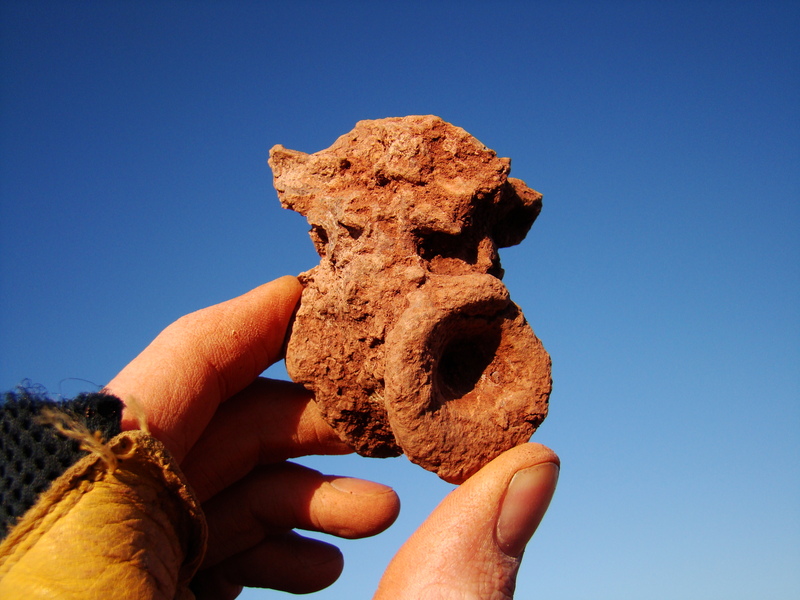 In his update, Tim gives us his impressions from digging in the Permian for the first time.